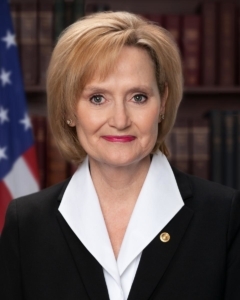 Appointed to the U.S. Senate in April 2018 by Gov. Phil Bryant to fill the vacancy left by Sen. Thad Cochran’s retirement. Elected Agriculture Commissioner in 2011 and again in 2015. Served 12 years in the Mississippi State Senate where she won numerous awards and honors as a legislator and champion for agriculture.